This morning, it started before I had fully emerged from glorious slumber. We’ll refer to the angry one as Big One, and his thieving brother as Little One. Big One had left his tinker toy contraption in the living room, and Little One got to it when he woke up before anyone else. Big One demanded justice. At moments like these, I’m reminded of another favorite quote from Bill Cosby. I found it in T-shirt form. purchase it when I’m done with this post. We are especially interested in quiet when the day hasn’t yet officially begun. 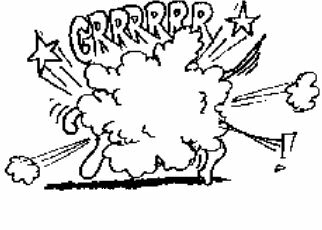 But my role as The Great Mediator demanded action. Big One got in trouble for leaving his toys in the living room and for screaming and waking me up. Little One didn’t get much because, hey, what would you do if someone left tinker toys out that you don’t usually get to play with? That’s right. You’d create the most masterful version of Monticello this side of the Mississippi. The issue at hand is, how can we, as parents, discourage fighting between our offspring? I’ve seen some tactics on Pinterest, and heard some from friends and at church, some of which I’ve partially tried. One strategy is to make the dueling children sit on the couch and hold hands. I did this a couple times, but stopped because Big One turns into a bossy nightmare, and there isn’t much Little One can do about it. Scratch that idea. So I started putting them in their separate bedrooms, especially when they both seem to be equally at fault, and they can’t come out until they figure out how they’re going to work and play together. This has been moderately successful. It doesn’t work well when Big One is overtired or Little One is being especially unreasonable (as 4-year-olds can be). Then they go back to their rooms, which works for me, because I get quiet. 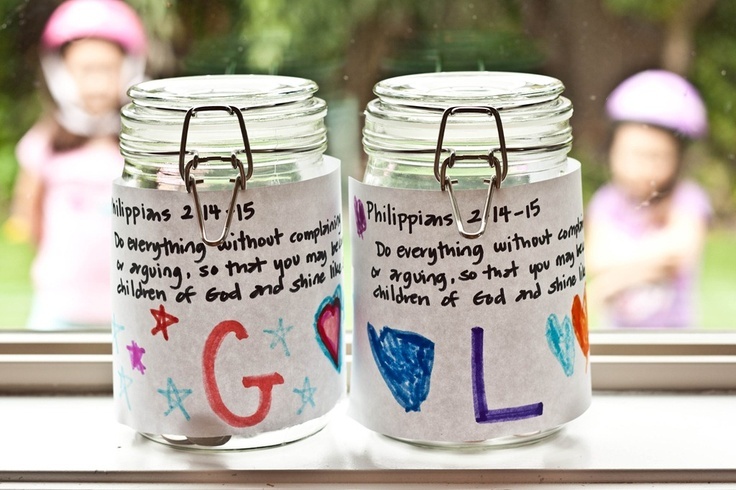 An idea I saw pop up on Pinterest are these Philippians jars. The idea is that each kid gets a jar with this verse on it, and an equal number of quarters are put into each jar. When one sibling is mean or wants to start a fight with the other, they lose a quarter into the other sib’s jar. If they are both fighting, they both lose a quarter into some “family” jar, which I think should be used for Mommy’s wine stash. I might try this when they are a little older. Little One doesn’t really get how money works yet. He got a $10 bill for his birthday and thought he had $1, and you couldn’t convince him otherwise. So of course, Big One had to start a fight about it. Please share any ideas for getting siblings not to fight in the comments. I’ll try anything at this point. My dad bought us boxing gloves. Big mistake.